The boy sighs, slouching as much as the infernal corset will allow. His hair is cinched back hard from his temples into an elaborate updo that is doing nothing to help his heat-induced headache. The goat herder looks like he’s faring no better, sweat dripping into his eyes, about to pull something unrelated to weaponry. It’s day three of the trials, the last until the festival picks up again next year, and the boy has never looked forward to a closing ceremony more. In previous years he’d at least been able to enjoy the festivities – lose himself in the sights and smells of the vendors and actively ignore the tradition behind the gathering. This year is a different fare. His eighteenth birthday looms close and his father’s health is ailing. The sword — though ever finicky — has never taken so long to choose a successor before. The goatherder’s son finally gives up, staggering back from the stubborn sword as if falling before an adversary. The boy is surprised to note a twinge of disappointment behind his ribs – the goatherder’s son has kind eyes and nice arms. He’d have made a passable husband, all considered. The crowd seems to share his sentiment, a rising tide of wordless frustration weaving its way through the mead-inspired merriment. The goatherder’s son returns to his clique, their pats on the back more camaraderie than commiseration since the day has proven none of the group worthy of the throne. The boy wrings his hands in his lap and tries to swallow an odd sort of shame. Perhaps the sword can feel his reluctance. His difference. Perhaps it isn’t the future King’s place in question but him by their side. He hides himself well enough, he thinks, accepting a skin that doesn’t feel his own with well-practised and hard-won grace. But perhaps the sword can see through that; through him. The crowd quiets as the King stands. His father is a good man, kind and just, so the boy’s eyes aren’t the only ones worriedly following their monarch’s careful movements. As the King makes for the stairs the boy follows, prepared to lend aid should his father’s balance fail him. The sword doesn’t gleam. Its shine is tarnished by the years even if its magic isn’t. It still draws the eye, though, a weight around it pulling one’s focus indelibly towards the hilt. The boy is used to the sensation, able to ignore its pull no matter how near he is to the stone. Or he was. Now, as his father steps up to address their people, the boy finds himself struggling, eyes catching and holding on the hilt of the dull blade. “My people,” his father begins, his voice its customary boom. The crowd’s attention is held, effortlessly. But the boy’s … isn’t. He tries – tries to make his eyes and ears pay attention to his father’s speech, but finds his focus continuously slipping back to the sword, just a bare step away. Then he steels himself. And he pulls. The shock of the crowd is an almost tangible thing. The boy realises his father is clutching his shoulder but he can hardly feel it beyond the alarm. Because the Heir’s Sword is in his hand, blade purring innocently like it hasn’t just made a future King out of a princess. The King’s grip shifts and the boy finally turns his attention from the sword. The dread and shock have coalesced into something that threatens to buckle his knees but then he finds his father … smiling. It’s the goatherder’s son who breaks the silence, letting out a whoop that snaps the tension in the air like driftwood. When the boy finally looks over the crowd, he sees the confusion making way for joy – slowly for some, but inexorable. 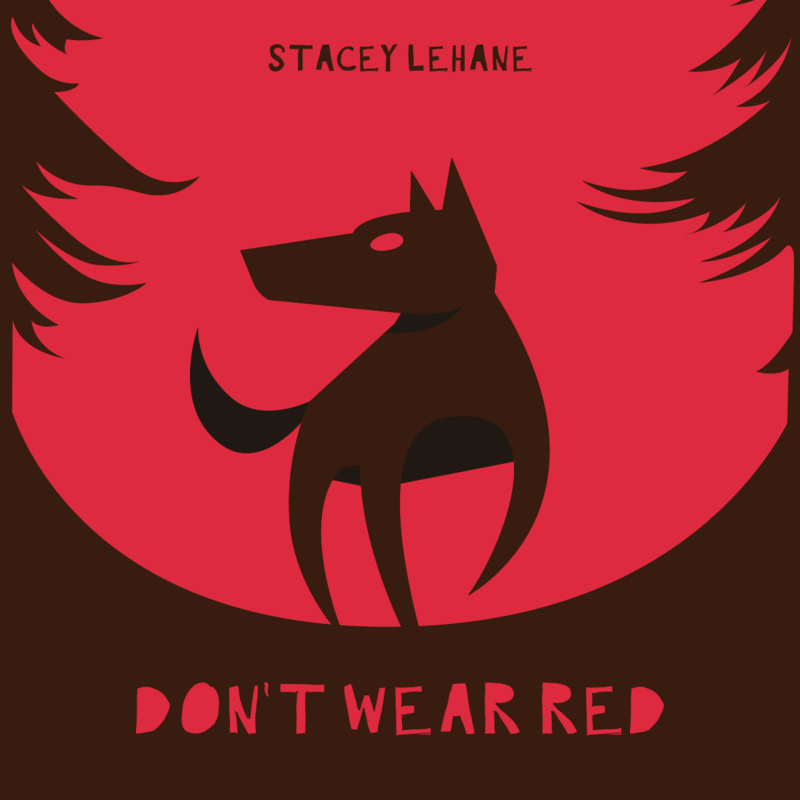 Don’t Wear Red is a queer Little Red Riding Hood retelling. In this forest, you don’t wear red. Shiloh and her wife are about to find out why.